Most of the Android phone users usually suffer from the same problem of low internal memory. The low and medium budget devices mostly comes with low internal or simply phone’s memory, in which a good amount is already grabbed by the Android OS, and rest is available for users. Not only low memory resist the further installation of apps and games, but also have some negative effects over the performance of the phone. So, basically more the internal memory of your phone, more apps you can install and greater will be the performance of the device. If you’re looking to increase internal memory of your Android phone, then this post will definitely help you. For that, we will use a very powerful yet small application named “Link2SD”, the application required root access in order to run. So before we get started, you need to root your device first. Now back to Link2SD application, what is this app? what it can do? and how it can be helpful? If you’re asking these kind of question then your must consider to read below. Link2SD app is very powerful application which allow user to get complete access over the system and user applications installed on the device. 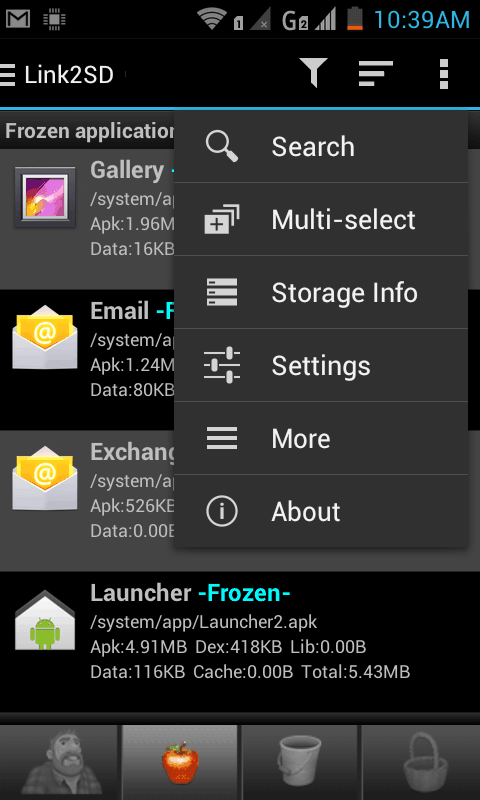 Not only you can delete System applications (which also know as bloatware apps), you can freeze them, convert them to .apk format, and much more. This free application is much better than any other free or paid application which promise to move system apps to SD card. Using it you can make SD card as default installation directory to save internal memory to sustain device performance. Apart from using SD card as installation destination, this powerful app gives option to convert the a partition for SD card or SD card into internal memory for Android phone. So, in all aspects this app is very useful, and somewhat necessary for all Android phone users. Download the Link2SD application from Google Play from here. The application support ads, so it’s completely free to download, install and use. 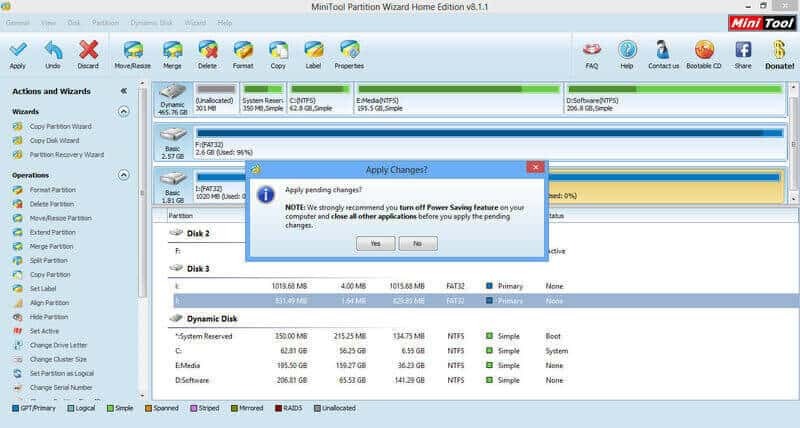 The second tool which will use is MiniTool Partition Wizard tool, download it from here. 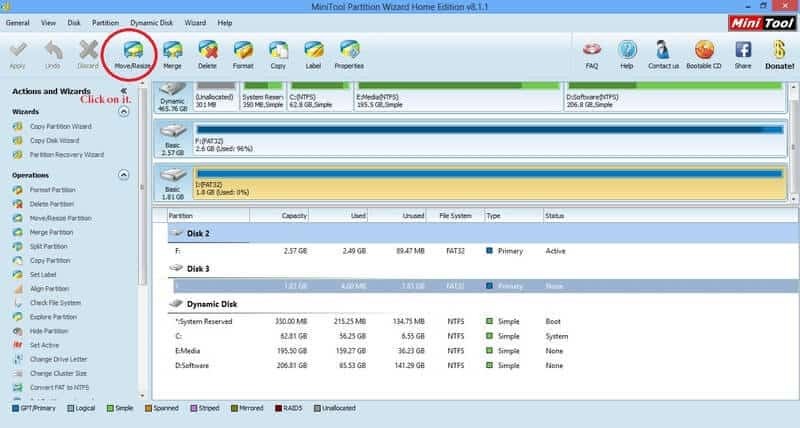 Install this program on your Windows based PC or Laptop, we will use to make a suitable partition of SD card. A Windows based PC and a SD card reader is needed to perform this tutorial. I hope you will manage to get them both. Most important, your phone should be rooted. The application Link2SD only work on rooted device. 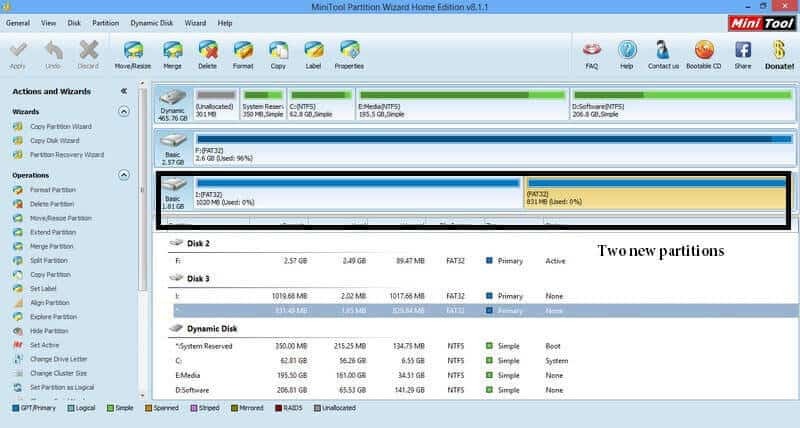 Firstly download the Mini Partition Wizard tool and install it on your PC. Make sure that PC is not Mac or Linux-based, the software only works with on Windows-based PC. Save all important data from SD card to safe place. Now connect your SD card using card reader to your PC. Now click on “Move/Resize” option listed on top of screen. Now set the amount of Internal Memory you want, from my 2 GB memory card I selected 1 GB as my External memory and reset of it as Internal Memory(831 MB). 831 MB is good enough to install lots of apps and some good games. 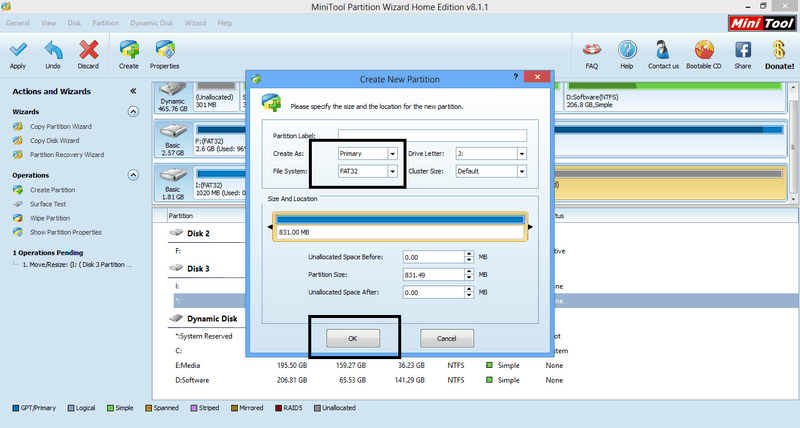 Then press ok, after it you will see two partition, one is of 1 GB and another is 831 MB. After it, click on Apply button placed on top left site of program, then you’ll encounter a “Apply changes” windows, just press “Yes” to proceed. After it, a prorgess screen will appears just like below and it takes few minutes to complete the work. When it completes, you will get a two partitions of your SD card and you are ready to go further. Now remove memory card from PC and put it to your phone. 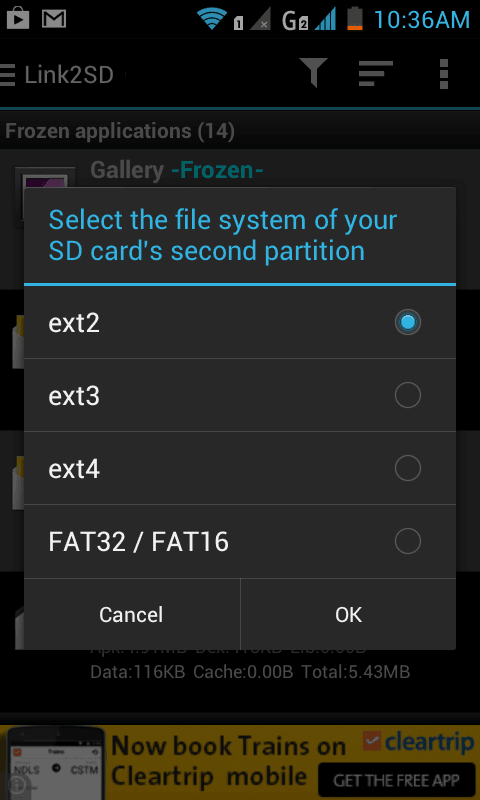 Run the Link2SD app and you’ll be asked to “Select the file system of your SD card’s second partition”, select the Fat32/Fat16 option and then tap on ok.
After it, you may be asked for restart, then just restart the device and again run the Link2SD apps. Now underLink2SD, go to settings. Under Settings check the box that says “Auto Link” and all done. Everything is done. Now when next time install apps or games to your device, they will be forced automatically to install on this created partition and only very small part of actual internal memory of phone will used just for app cache. So enjoy all the apps and games without consuming the internal memory of your phone. If hope you guys like this post. So that’s all about our guide on how to increase internal memory of your Android phone using Link2SD and SD card. Share our post with your friends, family and stay connected with us. I followed your post to ‘Link2SD’ and it worked perfectly. Thank you for a very clearly written and illustrated instruction.That Mini Partition app is a wizz; Wow! Thanks for your comment and I’m glad to know that it helped you! And sure Mini Partition tools is very useful! I followed your post to “Link2SD” too and I have two problems. All the apps moved to SD but 1. my internal memory from about 3,8 GB reduced to 1,2 GB and 2. many apps, not all, as messenger, snapchat, viber etc. unfortunately closed. The facebook app and others open. I am on lollipop. Could you help me? I am using Blackview BV2000. It is a MTK6735 64bit Quad Core 1.0GHz 1GB ram 8GB rom. the internalmemory it is the same size! i have successfully partitioned my sd card:1 partion having FAT32 file system and another ext2 file system. Now i used Link2sd to increase my phone’s(rooted) internal memory but on selecting ext2 as second partition in link2sd it says that mount script cannot be created. I tried to partition my sd again and tried to do this but the same thing happens.What should i do? hi…I am facing a problem..once SD card is mounted after creating partition. When I run Link2SD app in my Samsung J2 2016, app shows an error…”Mount script error. Mount script can not be created. Not allowed to su”….please look into this. Backup your memory card, and format it. And then try it again. Now it should work properly. Link2SD trial version is not working. It is necessary to work on registered version.